There's been a huge debate about how companies use personal data, with Apple and Ello squaring off against data-driven companies like Google and Facebook. We place a lot of trust in these corporations, not bothering to read the terms and conditions before clicking agree. Of course, this was how one cyber security firm tricked unwitting Londoners into signing away their first born child in exchange for free WiFi. But it does raise the question of if we're walking blindly into a privacy nightmare of our own making, which is what Risa Puno sought to investigate. 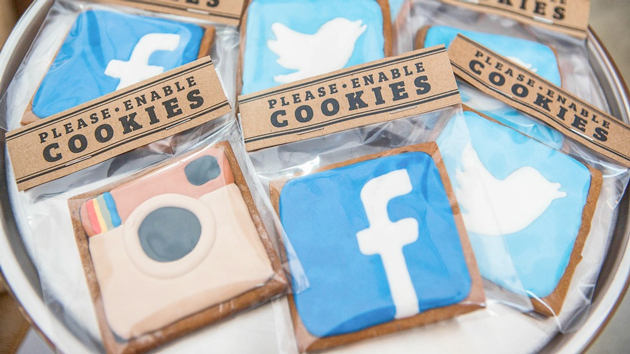 The New York-based artist baked 700 cookies in the logos of various social networks, but rather than selling them for cash, she asked passers-by to sell her their personal information. Talking to ProPublica, the artist revealed that people were happy to sign away their name, address, driver's license number, phone number and their mother's maiden name. As part of the deal, Puno also took pictures of each candidate, and in some cases asked for (and got) fingerprints and the last four digits of what people claimed was their social security number. If anyone asked what she planned to do with the information, the artist pointed to a terms and conditions sheet written in impossibly small text mirroring the sort we routinely ignore when we sign up to a new website. Overall, 380 people participated in the event, but Puno has yet to decide what to do with the data, although she does have the right to share and display the information in public. We're sure that plenty of people faked their social security numbers, but perhaps this is a lesson that, if we don't want to be worrying about what Risa Puno is doing with our fingerprints, we should all take a little more care of our privacy.